This Caulerpa species is a smaller but faster growing macro algae than Caulerpa Prolifera, with blades between 2-10cm long. The fronds are attached to a thick rhizome which will attach itself to rock, gravel etc. It is a great algae for nutrients export especially for the sump. Handle with care in the Tank Display, as it is very invasive. This macro algae is fine with medium to strong light. Very rarely eaten, although our tank nips time to time on it. As it will attach itself to rock etc. 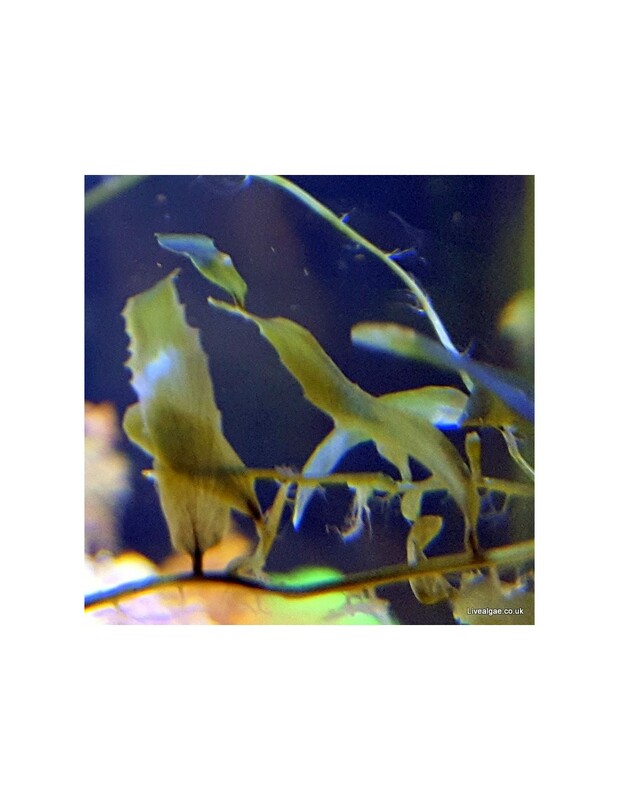 we recommend not to place these macroalgae to close to your main rock when you decide to have it in your tank display, unless you like to have it there. It needs some trimming and care. The algae species is great to keep it in the sump for the nitrate and phosphate export. It will grow in clumps when restricted and it is a perfect choice for nutrient export, especially where Chaeto doesn't work. Took to long to arrive. The algae took to long to arrive, which seemed to be a problem of Royal Mail, Some of the algae looked already bad. Luckily it got sorted out. 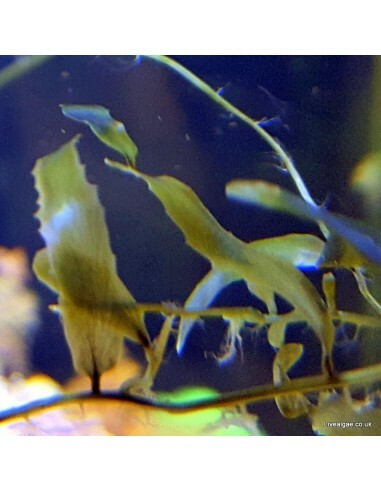 EXCELLENT SERVICE & QUALITY ALGAE. Recommended!! Received it Friday. Thank you very much, it was even more than I expected. Let\'s hope it will grow well in my sump.